Writer's Digest Books, 9781440347771, 410pp. Interviews with accomplished authors and illustrators, such as Victoria Aveyard (Red Queen), Rainbow Rowell (Eleanor & Park), Judy Schachner (the Skippyjon Jones series), and more. Valuable advice from debut authors and illustrators who explain their personal paths to success and publication. 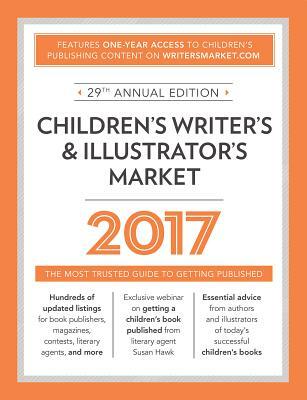 Informative articles on how to be your own agent, craft a great query letter, avoid picture book pitfalls, discover new online publishing opportunities, and much more. Includes exclusive access to the new webinar "Breaking Into Kidlit: Tips for Writing Picture Books, Middle-Grade, and Young Adult" by agent Susan Hawk of The Bent Agency.